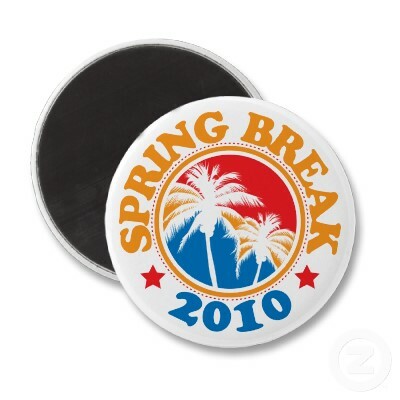 April 3, 2010 While media reports often churn out attention-getting stereotypes of spring break scenes of rowdy youth antics under the auspices of ‘what sells,’ to feed the money machine, we all too often don’t see the coverage of ‘alternate spring breaks’ and a major shift that’s taking hold in the cultural zeitgeist of service learning and youth. As I head out on spring break to start a week of UNPLUGGED teen bonding (a generational media experiment in itself) it’s interesting to note that Lee Fox at startup KooDooZ will be convening an entire Ideation Conference (Love Human Do Good April 5 & 6 in Long Beach, Ca) just a ferry ride away, all about empowering youth in the community and in the classroom to tap into their energy of digital and doing with experiential learning. Here’s a fabulous 7 pp pdf which sums how this generation of ‘digital natives’ is excited not only about ‘virtual’ but also by ‘virtuous’ so she’s exploring how we can funnel these findings into a win-win for good with compelling outreach rather than drone edu-focus on testing acumen in a “Race to Nowhere”…(film about the dark side of America’s achievement culture) Brava! As I leave today on spring break to go ‘semi-dark’ for a week (term coined by ConnectSafely’s Anne Collier who is doing the same starting today) I leave the emotionally draining negative coverage of youth in headline news and turn over the blog to youth for positivity and asset-based thinking for teens…Please welcome Erin Schrode, eco-warrior and founder of Teens Turning Green who has just returned from HER spring break from NYU… pumped up and energy-charged just back from Ayiti. (no not the virtual edu-game, though Ayiti, the Cost of Life is a worthy endeavor created by Global Kids, too!) but the REAL life Ayiti. As in Haiti. Get a map. 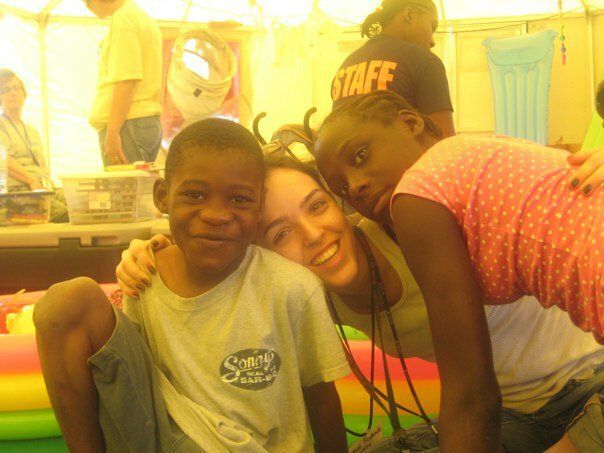 Sit back, and be inspired by an alternative spring break…Erin’s experience is one of a kind. See you next week! I am home safe and sound from a truly life-changing experience in Haiti. I never could have imagined what these days would entail — and woke up each morning to new challenges, hope, and unforgettable moments. 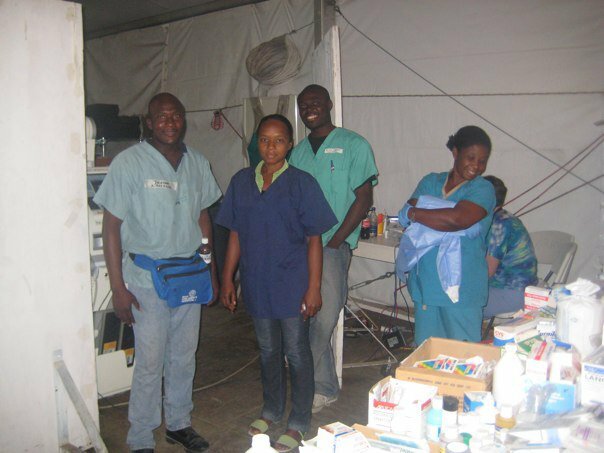 I spent two plus weeks on a medical relief trip at a field hospital in Port-au-Prince: Project Medishare the city’s foremost acute care hospital. It has been in operation since just after January’s devastating earthquake, although the non-profit has had a presence on the ground in Haiti since 1994. I traveled to the island nation with a group of NYU students, seven Wagner graduate students and myself, over spring break. Our focus was primarily on efficiency streamlining of the medical record system, patient and visitor tracking, and inventory of supply, among other pressing logistical matters. 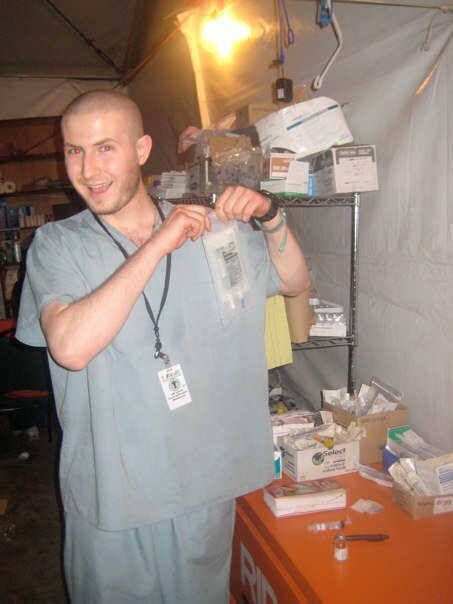 I have zero medical background, but was quickly thrown into the thick of things, learning the ways of that world (jargon and all) from the many professionals with whom I worked. And from there, it evolved into so so much more. The wisdom I gained about another culture, human nature, long-term investment in development, and pure survival skills has been invaluable. I was placed in leadership positions with great levels of responsibility, and asked to assume roles in which I had no previous experience. My duties were wide-ranging: speaking directly with patients in all of our units (including a fully operational OR, the only neonatal ICU in the country, wound care, pediatrics, ICU, general hospital, orthopedics), manning command center, supervising orphans (perhaps my favorite task — caring for seven boys ranging from babies to fifteen years old), working the pharmacy overnight, and numerous others. My time in Haiti was unbelievably rewarding for myself, my coworkers (leading doctors and nurses from around the world and other brilliant volunteers, as well as a large team of Haitian workers), and the hundreds of critically injured patients we served daily, along with their families. I chose to extend the duration of my stay by an additional eight days, not only due to my own feelings, but also for the success of the operation as a whole and implementation of various new policies, and even then it was near impossible to walk away. I filled my days with incredibly meaningful one-on-one work, interacting with every single one of our patients and family members, over 400 people in total, as we created a new patient tracking system… and even learned some Creole in the process! The personal experiences are what changed my life: introducing a few-hour old newborn baby to its mother for the first time, propping up an elderly woman in bed, handing out water to parched patients waiting in the midday sun, hand feeding one of most severely malnourished children, holding a mother’s hand while her daughter was in surgery, and having my little “brother” fall asleep in my lap. Additionally, I had the great opportunity to meet with James Alcime (Haitian delegate to One Young World) on multiple occasions both at camp and beyond our grounds to talk about the projects which we are creating and collaborating on related to Haitian and global youth… look out for news about those in the very near future! The time which I spent exploring Port-au-Prince was incredibly powerful. Witnessing the physical devastation of the earthquake is unreal; the visuals are even more haunting in person than on television or computer screens. Floors of buildings collapsed atop each other, piles of debris blocking streets, flattened cars, leveled lots, and tent cities make up block after block, yet people are finding a way to survive. The country and population DOES need much aid and assistance right now, but I believe that with continued international support, continued presence, accountability, innovative leadership, and collaboration, Haiti can find a healthy and secure future. Update on my fundraising: I raised over $3100 in that one week before I left, shattering my goal! Thank you all for your generous contributions in person, mail, and paypal (all still very much open by the way!). After spending time on the ground and surveying the needs, I have decided that the money will go directly to Project Medishare and another phenomenal organization called ShelterBox.org. ShelterBox is an international disaster relief organization that delivers emergency shelter, warmth, and dignity to people affected by disaster worldwide. Teams of trained volunteers respond immediately to natural and manmade disasters with aid boxes, including 10-person tent and essential equipment to survive while displaced or homeless. I am so impressed by what ShelterBox is doing and have seen firsthand the impact of their tents and supplies for people in Haiti — 10,000 tents already on the ground and more coming everyday! Much more news about my projects and involvement in Haiti to come shortly, including something very exciting with Green My Parents to launch on Earth Day. Erin Schrode is a young ecoRenaissance woman. As the “face of the new green generation,” the spokeswoman and founding member of the national Teens Turning Green campaign shares her knowledge as an eco-expert on television and the radio, in numerous books, newspapers, magazines, blogs, websites, and speeches. This “incredible youth leader” was honored with the 2009 Diller Teen Tikkun Olam Award for outstanding leadership in community service and commitment to improving the world, named one of JVibe’s 18 Under 18 extraordinary teenagers, selected as a recipient of the Natural Products Innovator Award, chosen as a Green My Parents champion, and invited to represent the United States as a delegate at the inaugural One Young World Summit in London this February. Erin just returned from Haiti, where she worked in medical aid relief at the leading acute care field hospital in Port-au-Prince. This fall, she began her studies in Cross-Cultural Diplomacy and Global Public Service as a Presidential Honors Scholar at New York University. “One of the leading young green movers in this country,” Erin hopes to inspire her peers around the globe to take action and make the world a sustainable place for future generations. For more on Erin’s trip see the links below! Hello, thanks for sharing your experiences with us. Best wishes from Islamabad. I also want to be a part of you. How I can start? Please anyone who can guide me from beginning to end so please contact me. I need the guidlines to do something for others.